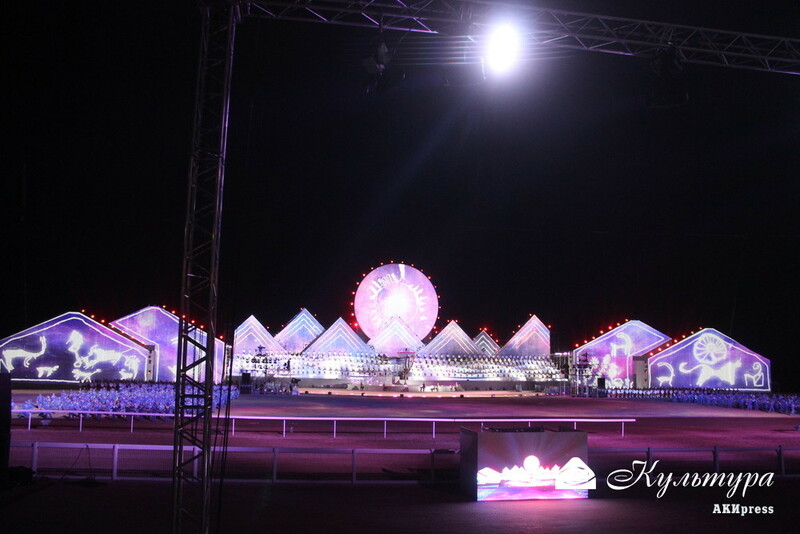 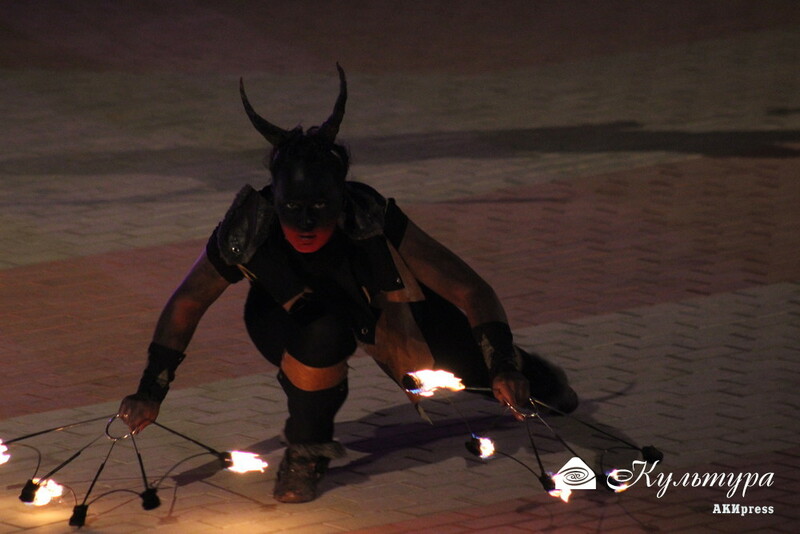 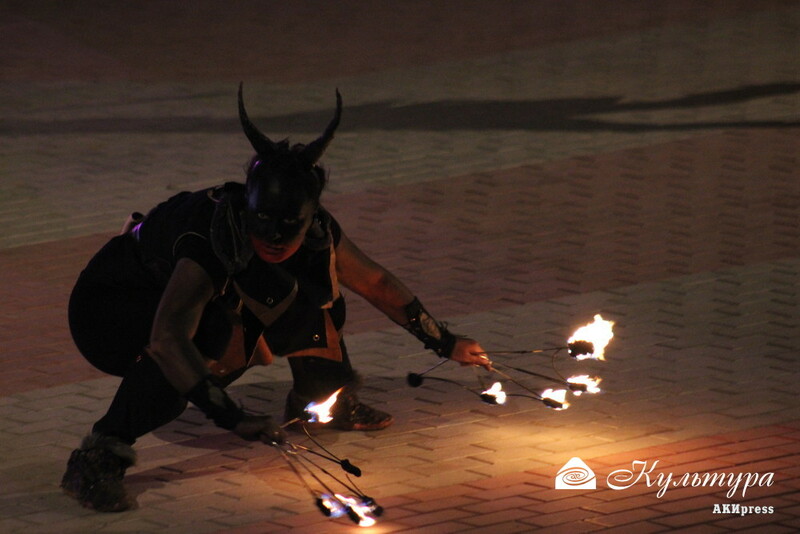 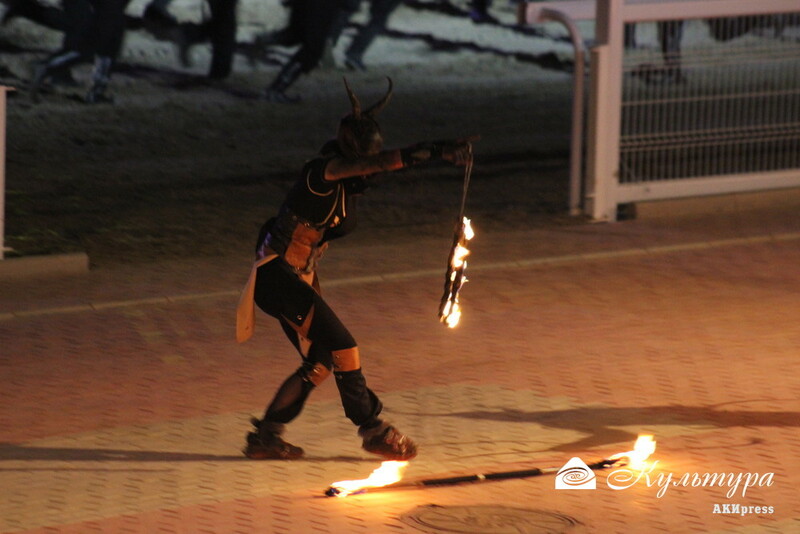 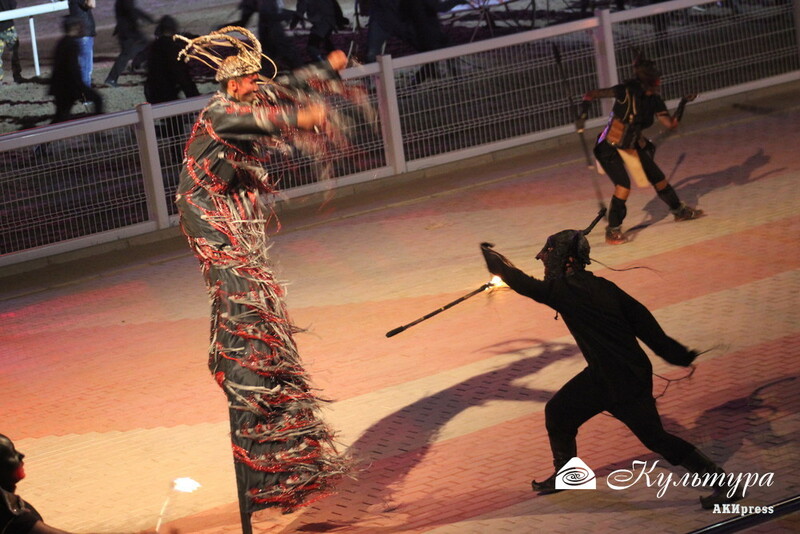 AKIPRESS.COM - The ceremony of the Third World Nomad Games began in Cholpon-Ata town of Issyk-Kul region at 20:00 on September 2. 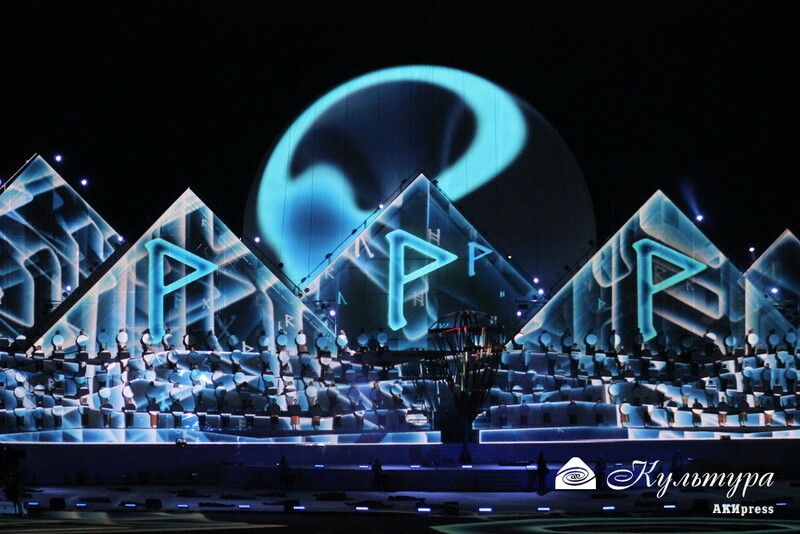 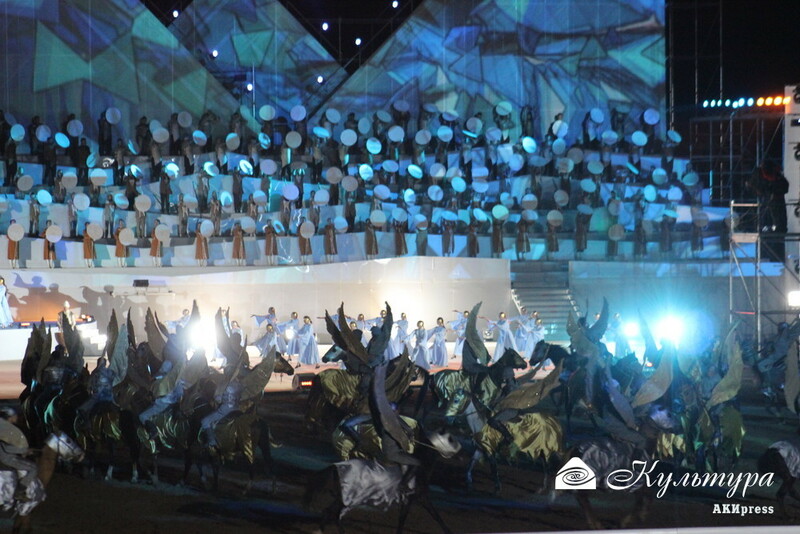 A big theatrical performance includes more than 1,500 artists of various genres. 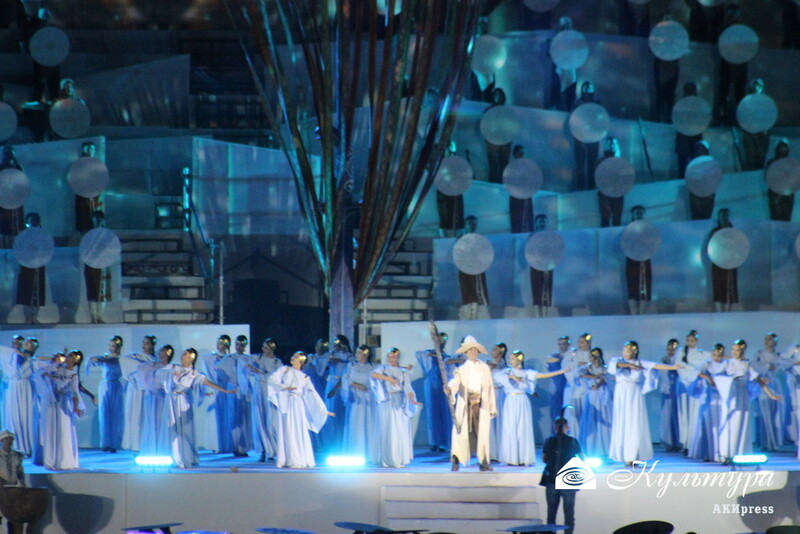 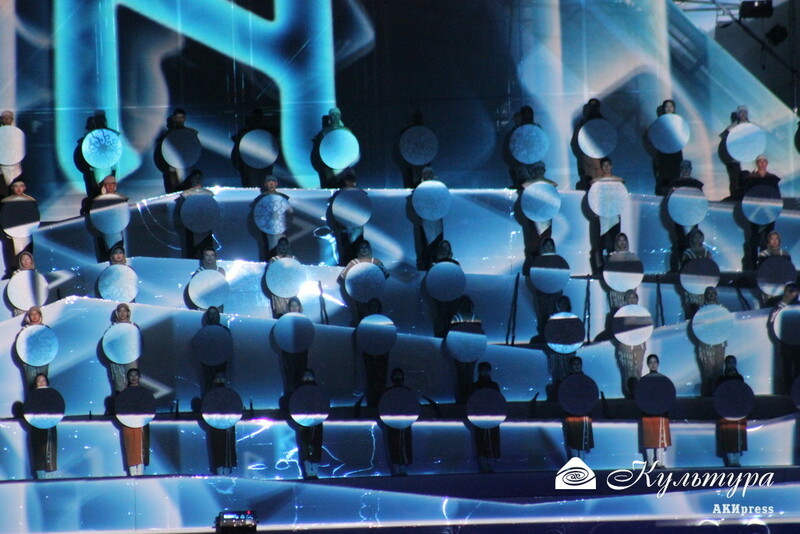 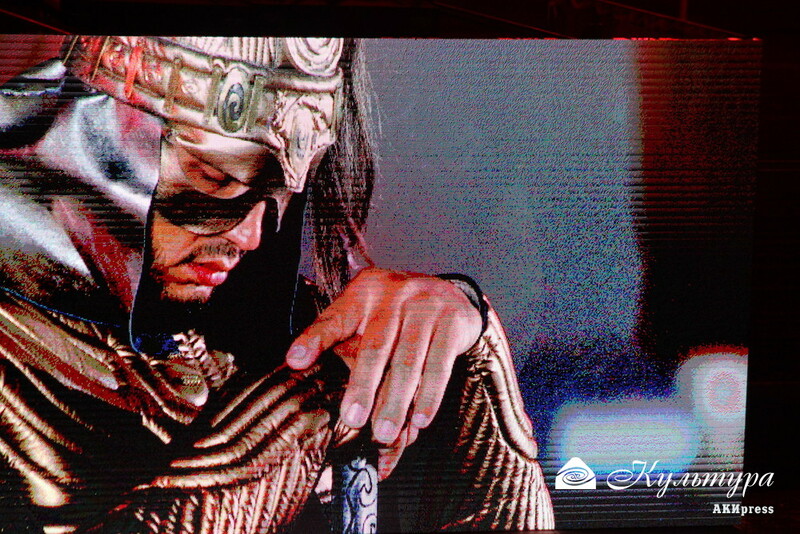 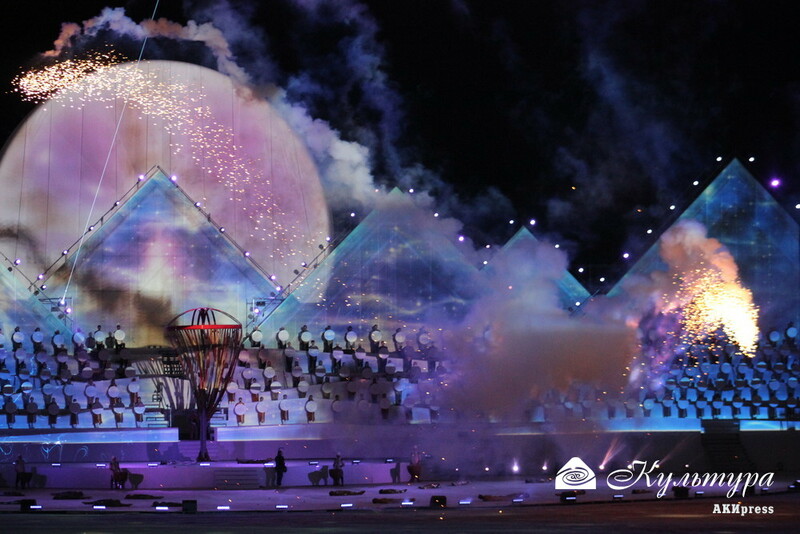 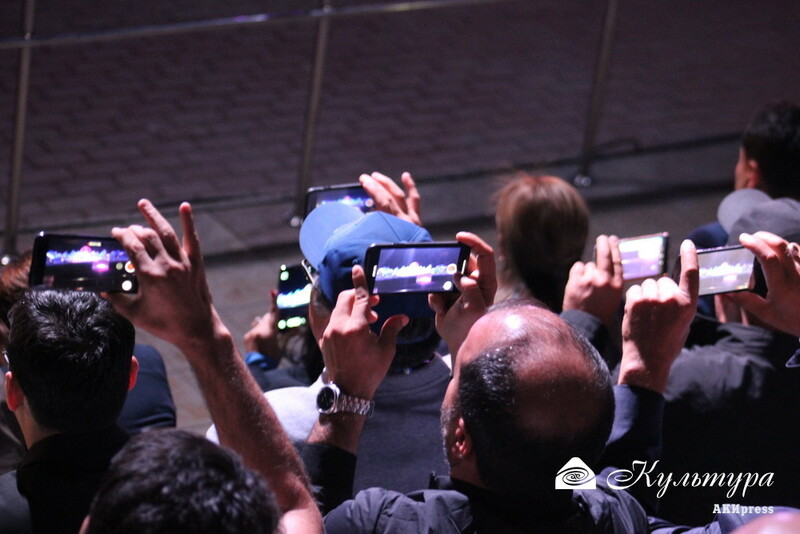 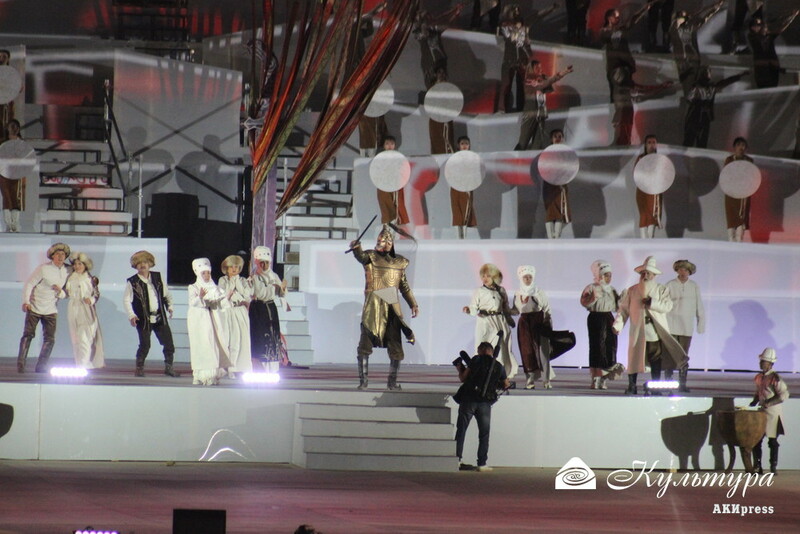 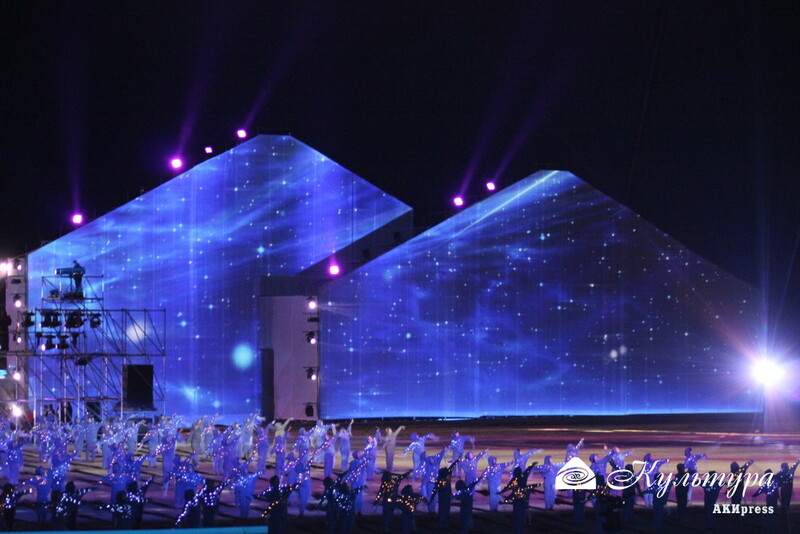 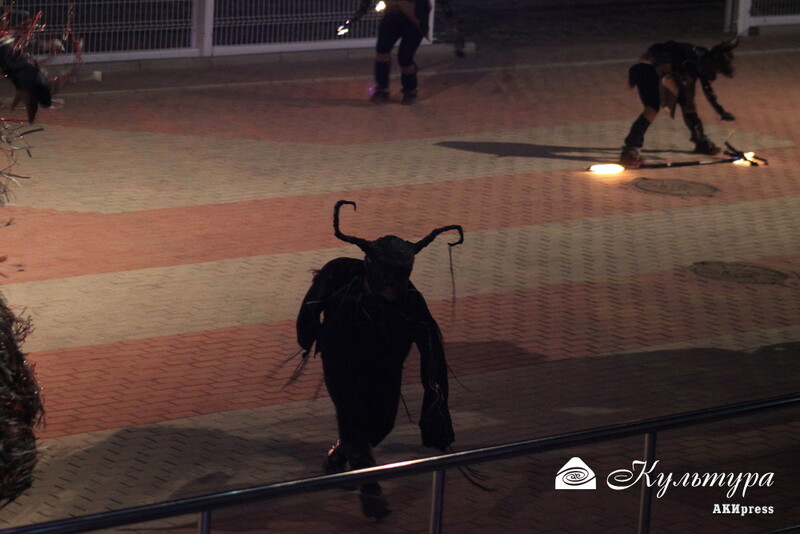 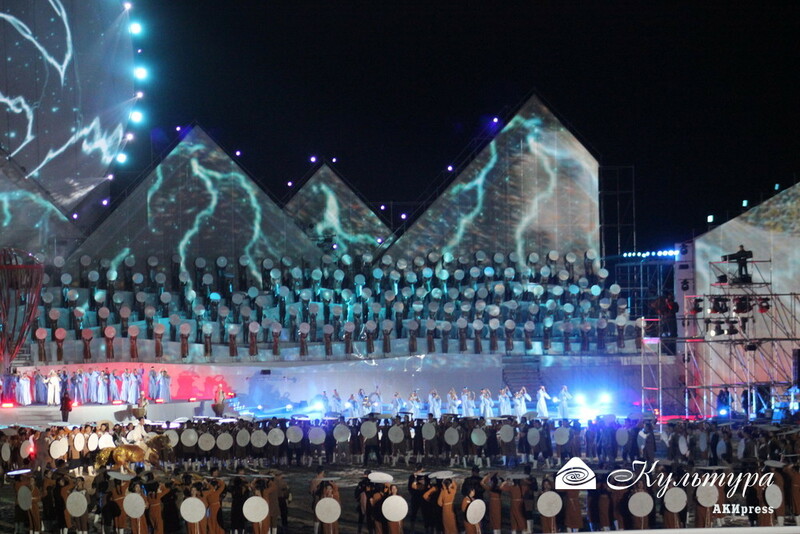 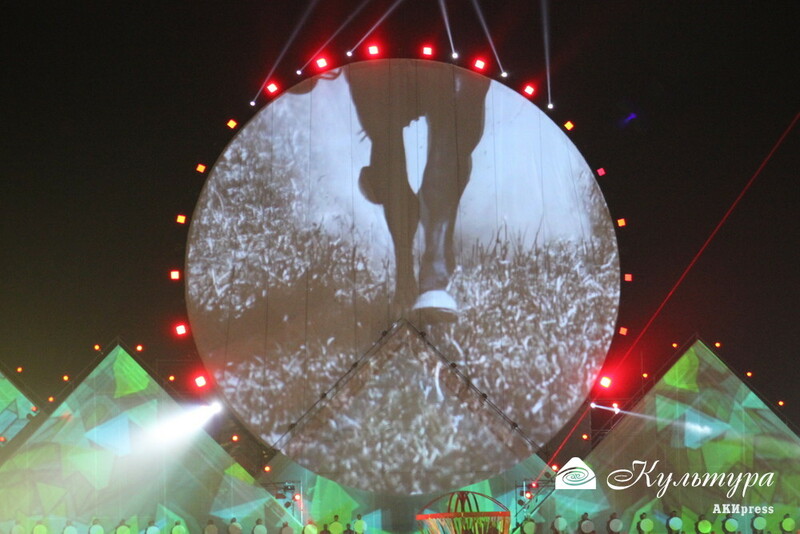 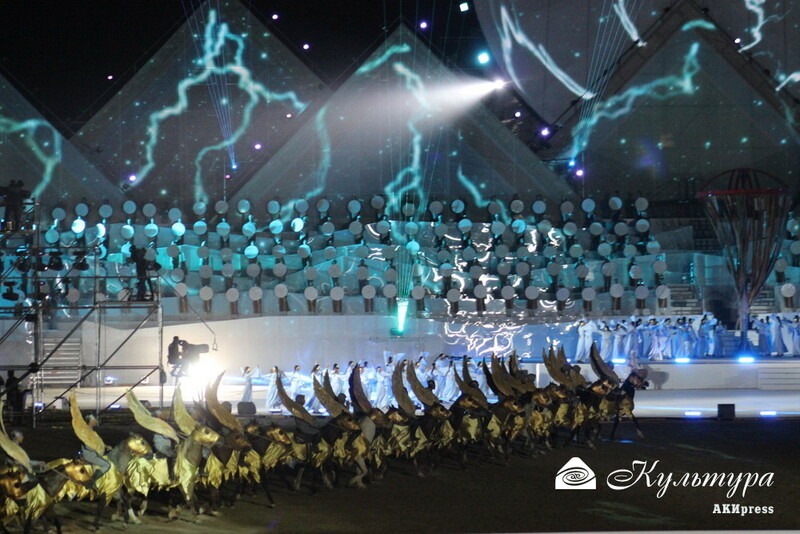 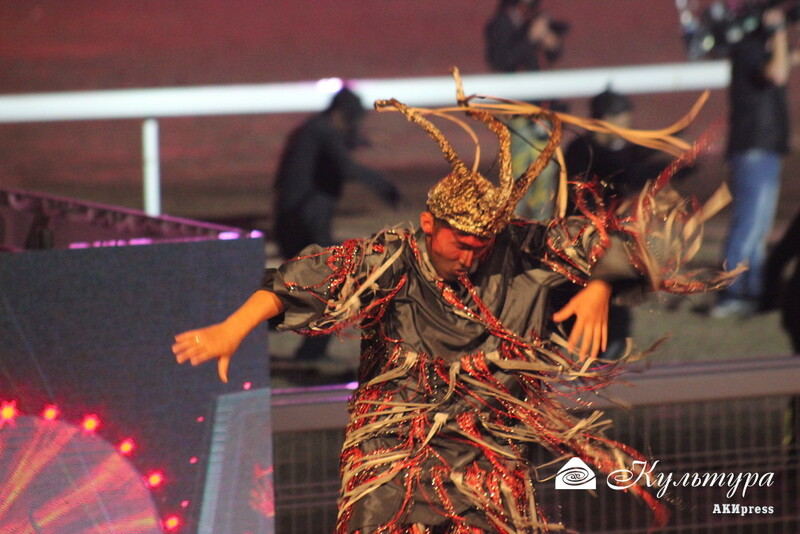 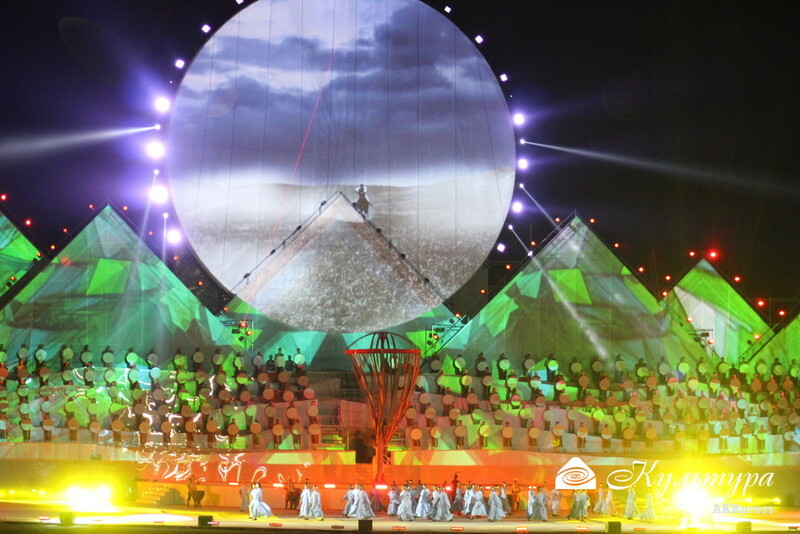 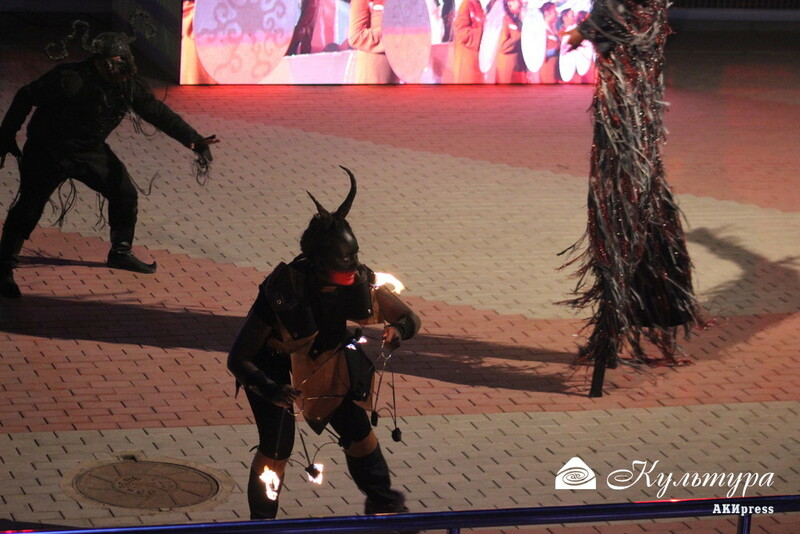 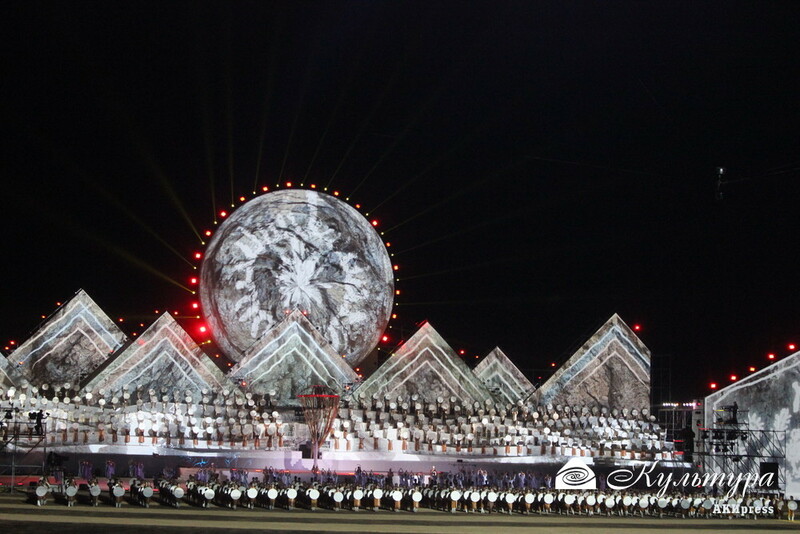 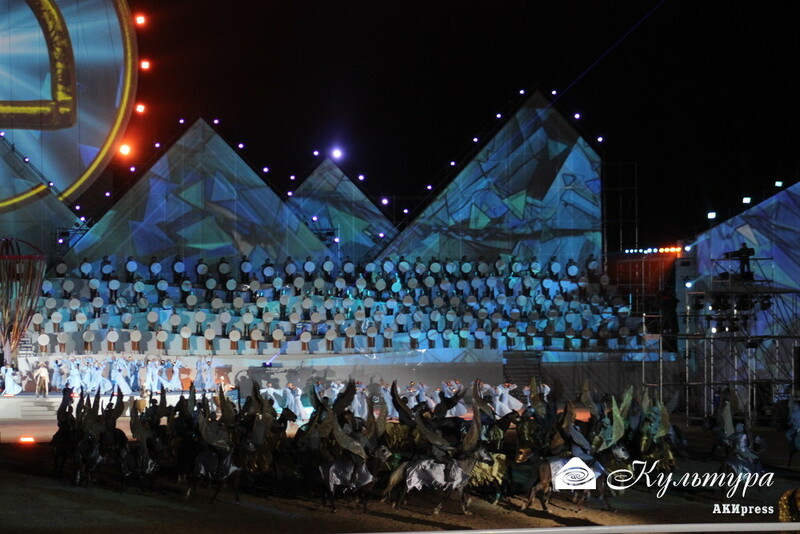 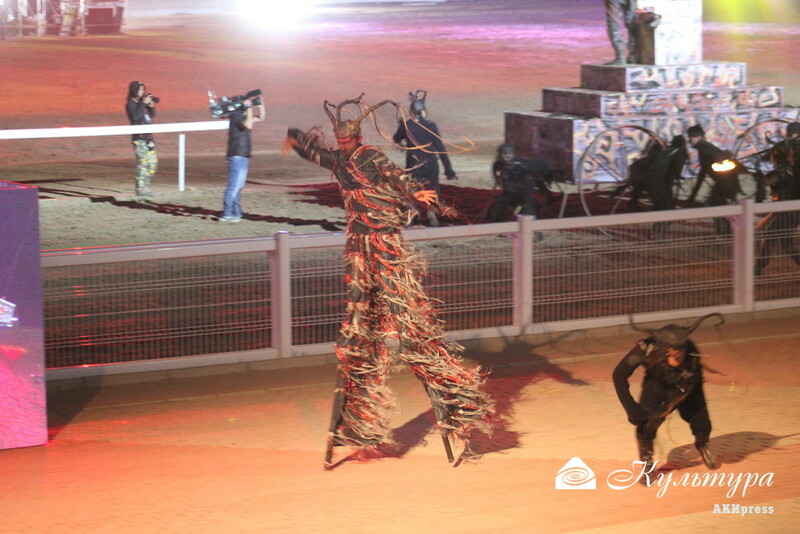 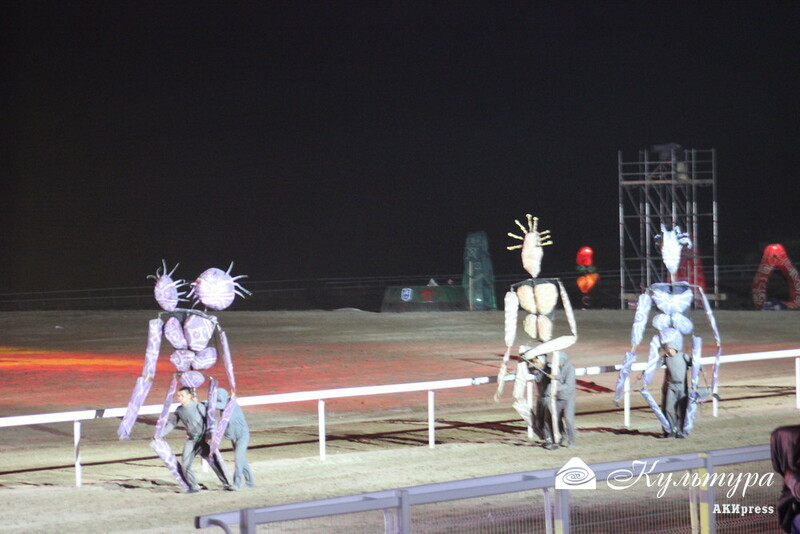 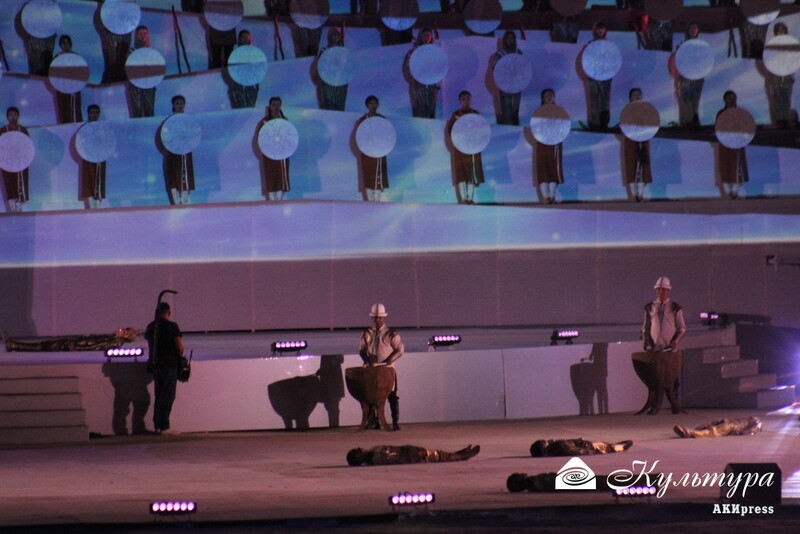 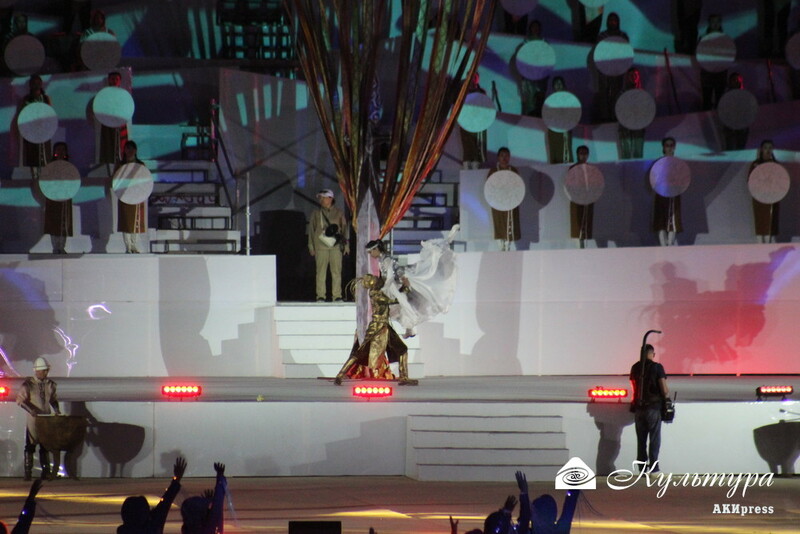 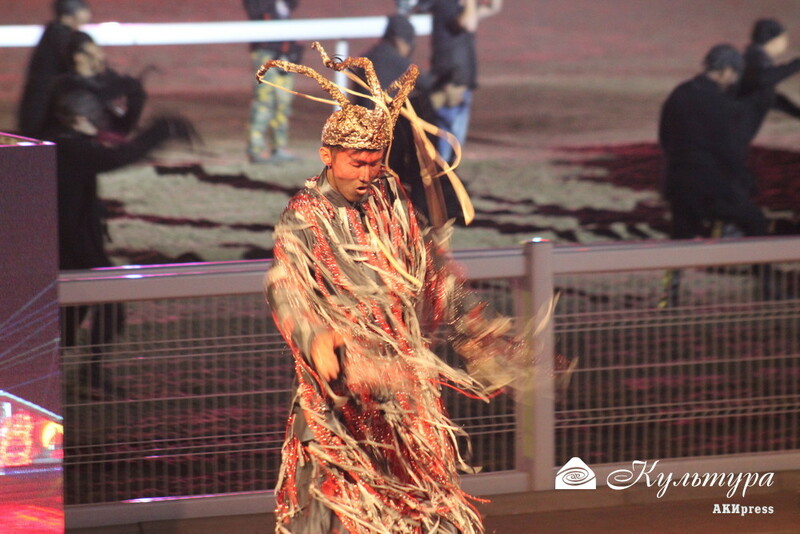 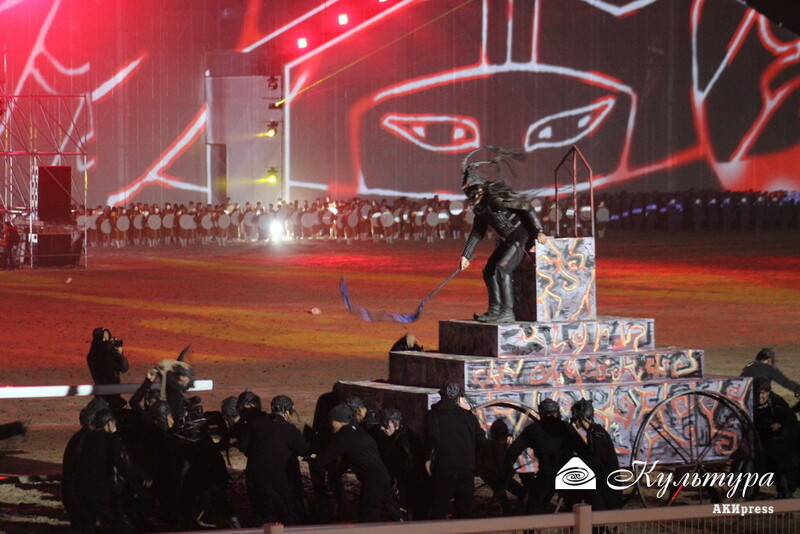 The theatrical performance tells about the philosophy of nomads. 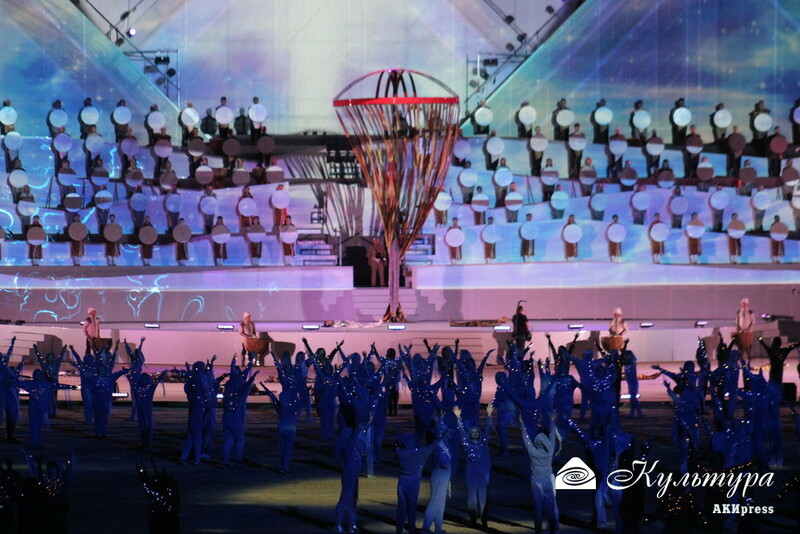 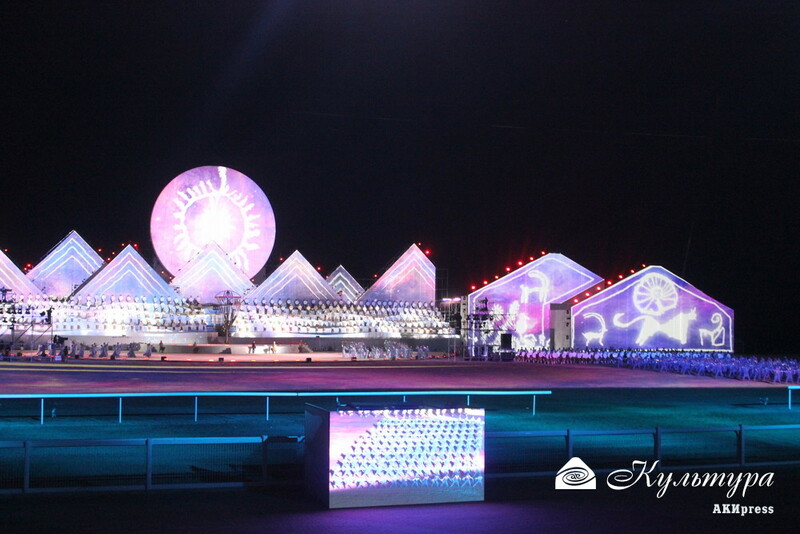 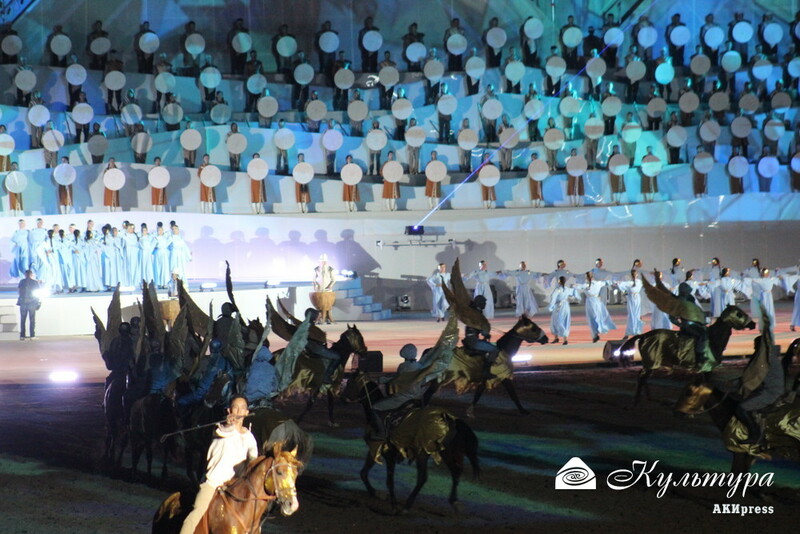 President of Kyrgyzstan Sooronbai Jeenbekov handed over the mission to host 4th World Nomad Games to Turkey. 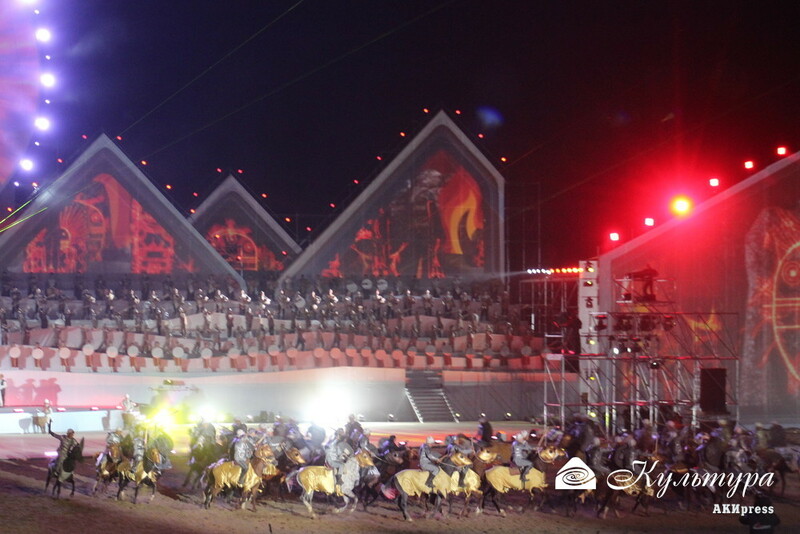 "I wish respected Recep Tayyip Erdogan accepting the baton from us to hold a successful World Nomad Games," Jeenbekov said. 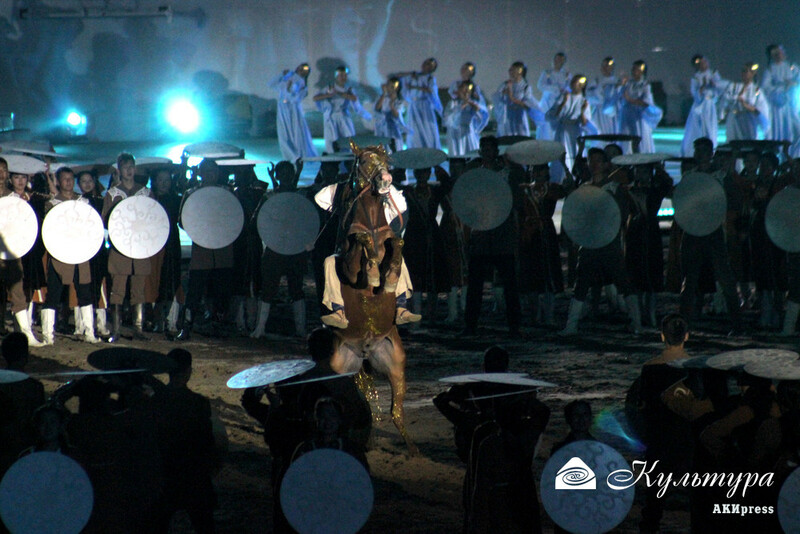 2,307 sportsmen from 79 countries of the world are expected to participate in the 3rd World Nomad Games on September 2-8 in Issyk-Kul region. 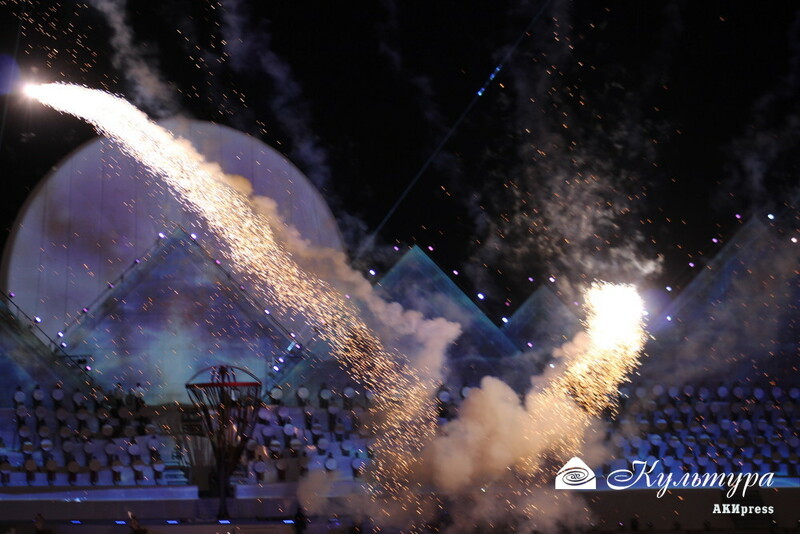 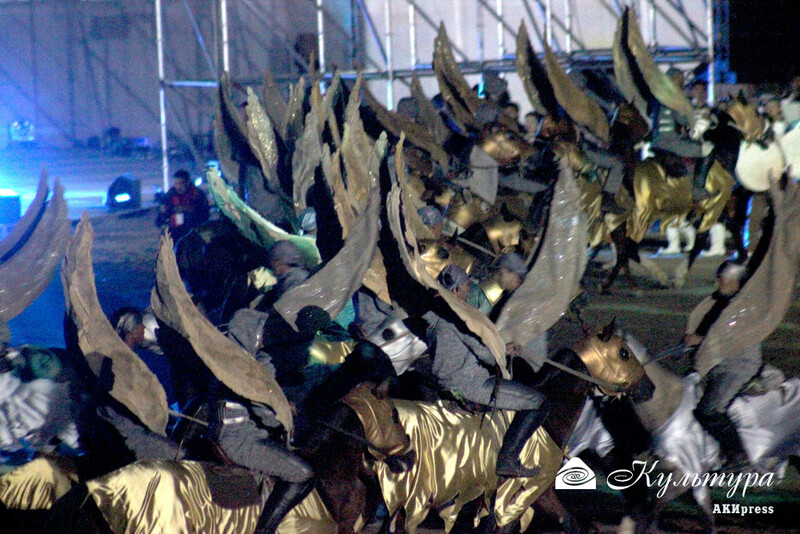 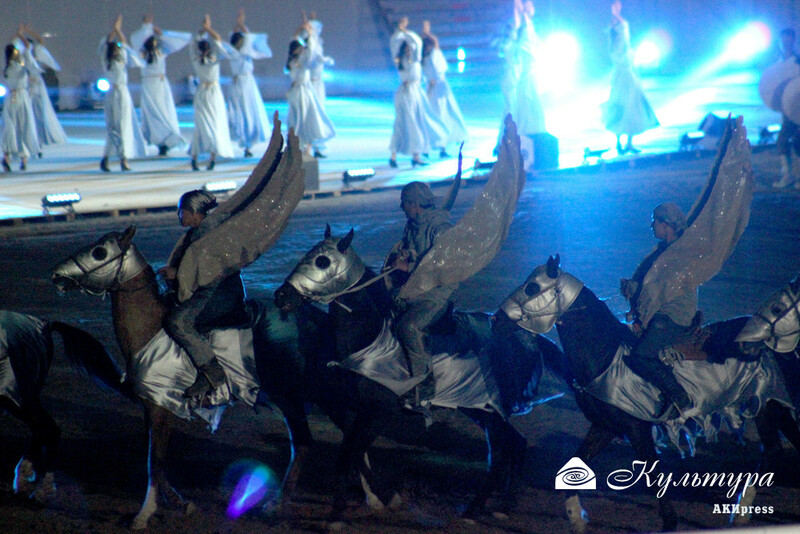 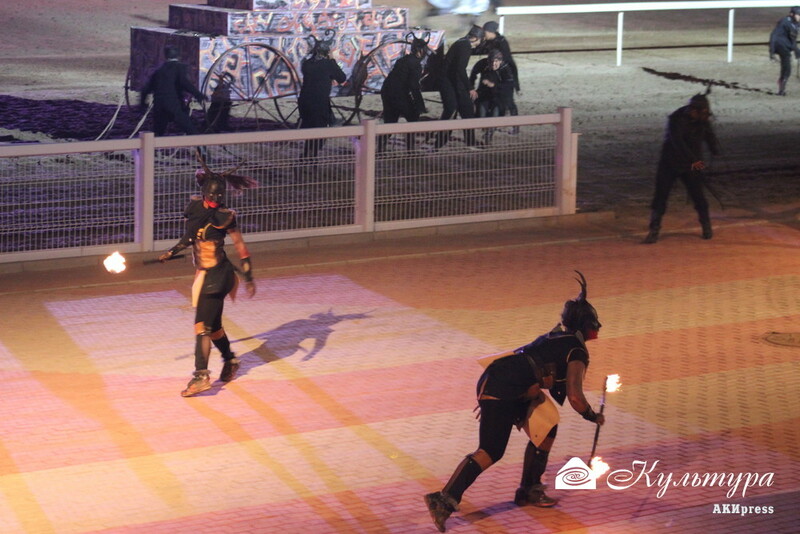 37 sports events including horse races, contests while riding a horse, wrestling, martial arts, traditional intellectual games, archery, hunting with bird, etc. 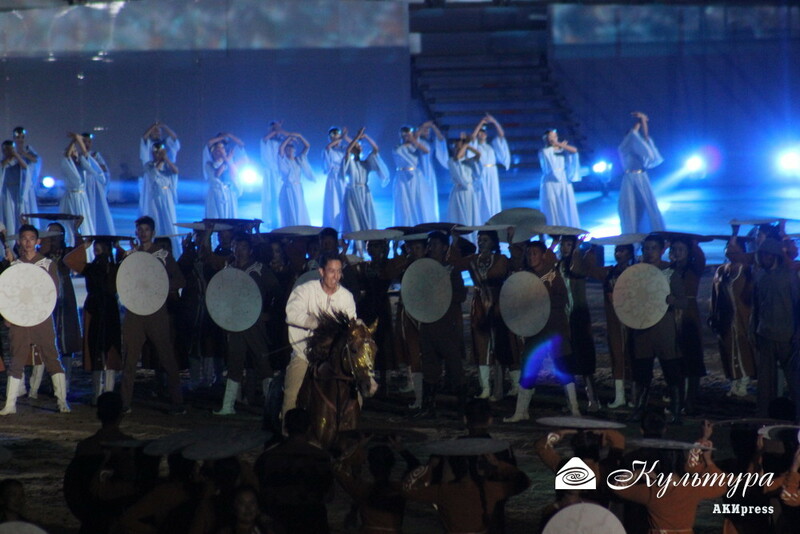 will be included in the games. 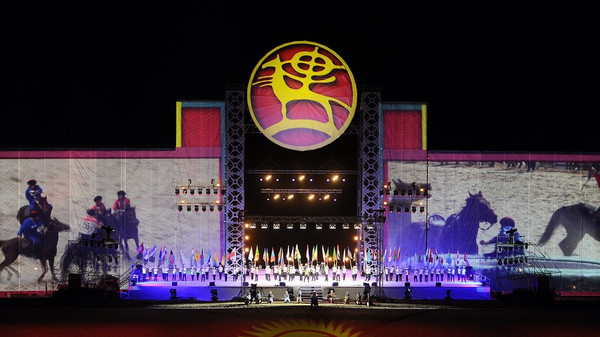 The list of countries participating in the WNG 2018: Australia, Austria, Azerbaijan, Antigua and Barbuda, Argentina, Armenia, Afghanistan, Bangladesh, Belarus, Benin, Bulgaria, Brazil, Brunei, Cape Verde, Cameroon, Canada, China, Colombia, Congo, Côte d'Ivoire, Czech Republic, Chile, Egypt, Estonia, Ghana, Germany, Great Britain, Georgia, Hungary, Japan, Jordan, Kazakhstan, Kuwait, Kyrgyzstan, Latvia, Lebanon, Lithuania, Madagascar, Macedonia, Mexico, Moldova, Mongolia, Nepal, Nigeria, Netherlands, Pakistan, Panama, Poland, Philippines, Russia, Romania, Serbia, Singapore, Syria, Slovakia, Sierra Leone, Switzerland, Sri Lanka, South Korea, Tajikistan, Thailand, Tanzania, Tunisia, Turkmenistan, Turkey, Uganda, Uzbekistan, Ukraine, United States of America, United Arab Emirates.